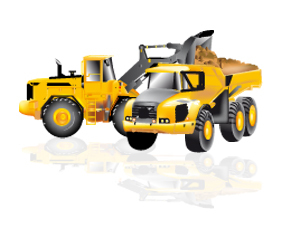 Founded in 1971 our company is specialized in selling and renting used earthmoving equipment. We sell overhauled or ‘as is' machines from all brands. We offer a permanent stock from 100 to 150 machines situated in an area of several hectares with workshops and offices. We are located in the south-west of France, 600 km far from Paris, between TOULOUSE and BORDEAUX, just outside Agen. We have customers worldwide and we are used to export all over the world. Our serious reputation and our savoir-faire make clients regular customers who buy confidently, without coming to our site. Do not hesitate to ask us about machines which do not appear on our stocklist.